As chief minister of Bihar, Nitish Kumar has constituted two commissions. During his first term, in 2006, he set up the Land Reforms Commission under the leadership of D. Bandopadhyaya. The commission submitted its report to the government in 2008. In his second term, he set up the Upper Castes Commission to assess the status and number of the poor among upper castes and suggest remedial measures. That was in January 2011. Justice D.K. Trivedi, former judge of the Allahabad High Court, was appointed its chairperson. In December 2014, former chief minister Jitan Ram Manjhi expressed his displeasure over the functioning of the Upper Castes Commission. The commission submitted its report to the Bihar government at the end of its tenure, in April 2015. Nitish Kumar is happy with the recommendations of this commission but not with those of the Bandopadhyaya Commission – so much so that today, he doesn’t even talk about the latter. This, when the methodology and recommendations of the Land Reforms Commission were more scientific, credible and pro-change than those of the Upper Castes Commission. Meanwhile, the media of Bihar seems to have lapped up the report of the Upper Castes Commission and its recommendations. The data collected and collated by the commission is being prominently carried by local newspapers. The data collected by the commission through surveys shatters several established assumptions. For instance, it says that in Bihar, only 8.6 per cent Hindu upper-caste families own land that is five acres or more while the corresponding figure for Muslims is 1.1 per cent. In rural areas, 36.3 per cent members of the Hindu upper castes and 26.5 per cent Muslims are debt-ridden, with the corresponding figures for urban areas being 24.9 per cent and 20.3 per cent respectively. In rural areas, graduates form only 9.9 per cent of the Hindu upper-caste population and 8.4 per cent of the upper-caste Muslim population while in urban areas, the percentage of graduates among upper-caste Hindus and Muslims is 31.7 and 25.4, respectively. The commission has suggested three measures for welfare of the upper-caste poor: 1. Special attention must be paid to ensure that they benefit from government welfare schemes. 2. All Savarnas with an annual income of less than Rs 1.5 lakh should be given the benefits of all poverty alleviation schemes and programmes. 3. The schemes meant for providing houses to the poor, building toilets in their homes and for the betterment of the farmers should be revamped so as to ensure that the Sarvana poor also benefit from them. We are told that, in view of the upcoming elections in Bihar, the chief minister is extremely keen on implementing the recommendations of the commission. A question that arises is, what makes the recommendations of this commission more acceptable or credible than those of Bandopadhyaya Commission? Both the commissions had based their findings on the surveys conducted by the NGO Aadri led by Shaibal Gupta, an economist believed to be close to Nitish Kumar. But the Bandopadhyaya Commission had also held a number of public hearings in which political parties, social activists and specialists in land-related issues, including Bhoodan, were invited to present their views. In its 418-page report, the commission dwells on the state of Bihar’s economy, describes the misery of the people, and recommends long-term solutions to the problems plaguing the state on the land front. However, for the Upper Castes Commission, Aadri conducted sample surveys in 20 of the 38 districts of the state, covering 10,000 urban and rural residents. The respondents included members of the upper castes and Muslims. The government spent Rs 11 crore on the commission over three years but the commission delegated the task of making recommendations to Aadri. Obviously, the members of the commission did not have the time to study the data. The Bandopadhyaya Commission’s methodology was more scientific and responsible. It gave a detailed analysis of the rural and urban poverty of Bihar and covered people of all religions and castes. The report says that in the 1990s, landlessness grew at an alarming pace in the state. In 1990, 67 per cent rural poor were either landless or “almost landless”. This figure went up to 75 per cent in 1999-2000. In this period, while poverty declined among the landowners, it grew among the landless from 51 per cent to 56 per cent. Bihar has around 18 lakh hectares of unused agriculture land. Besides government land, this includes land under the control of Bhoodan committees that could not be distributed for some reason, community land and land under unauthorized possession. The commission has recommended that this land be distributed among the landless. The commission has recommended enacting a new law for the protection of the interests of the tenant farmers. Its report says that only two classes of persons should have rights over any piece of land: a) the farmer, who will have absolute ownership and right over the land and b) the tenant, who won’t have ownership of the land but the right to till it and live on it. The commission also said that every tenant should have a document detailing the name of the landowner and details of the land, and a certified copy of the document should be provided to the landowner. The tenancy rights should be hereditary, the commission said. It also recommended that the categorization of agricultural and non-agricultural land be done away with so that ceiling laws are not circumvented by getting land categorized as non-agricultural. The provision exempting fruits plantations, land used for pisciculture, etc, from the Land Ceiling Act should be abrogated, the commission said. The Land Reforms Commission recommended that families with five or more members should be allowed to hold up to 15 acres of land. If the family has any plantations or gardens, it should be given the choice to either continue holding up to 15 acres of plantations/gardens or land on which wheat/paddy is grown. The commission said that mutts, temples, churches and other religious establishments in existence since 1950 or earlier should be allotted 15 acres of land each. A temple of more than one god/goddess should be treated as one unit and the cap of 15 acres should apply to it, too. Had the recommendations of Bandopadhyaya Commission been implemented, they would have had a positive impact on the upper-caste poor, too. 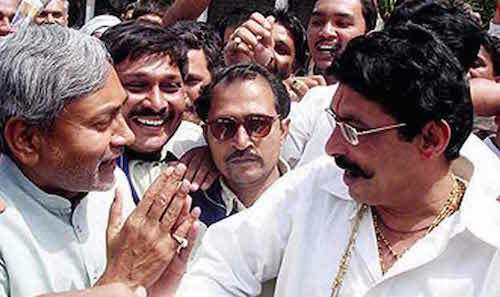 Instead, Nitish Kumar chose to appoint a separate commission for the upper castes. Isn’t this a blatant attempt at dividing society on caste lines? Writer and thinker Prem Kumar Mani had bitterly opposed the setting up of the Upper Caste Commission, risking his membership of the Vidhan Parishad. Ultimately, he ended up losing the membership. After reading ur dis atcrile my heart also starts weeping. but yes all you have written its Bitter but true. on one hand sanpraj looking for a chance to bite people while on d other hand nagraj is trying to convince people that he has no poision in himself. Its a big irony but it can happen only in india .